Our low prices allow you to make more money. We can typically save you up to 20% of what you would expect to pay. We have over 20 years of manufacturing and sourcing product overseas. With this we can find exactly what your client wants at the lowest price. Owning our factories and having direct employees overseas, enables us to have control over the quality and service eliminating the typical problems. 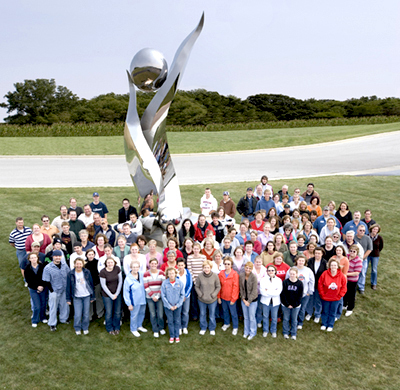 Our Celina, Ohio based award winning customer service team are there for you every step of the way. Our exclusive FREE FULFILMENT program saves you time and money. We warehouse and ship your orders for you at no additional cost. VisionsXtra is part of Visions/Awardcraft, the leading designer and manufacturer of recognition awards and corporate gifts. This gives us almost 40 years’ experience in the promotional products industry. We share corporate headquarters, top talent and warehousing facilities in the Western Ohio town of Celina. This connection gives you all the benefits of a cutting edge company with the vast experience and expertise of a well-established success. Now that is the “Xtra” you are looking for.